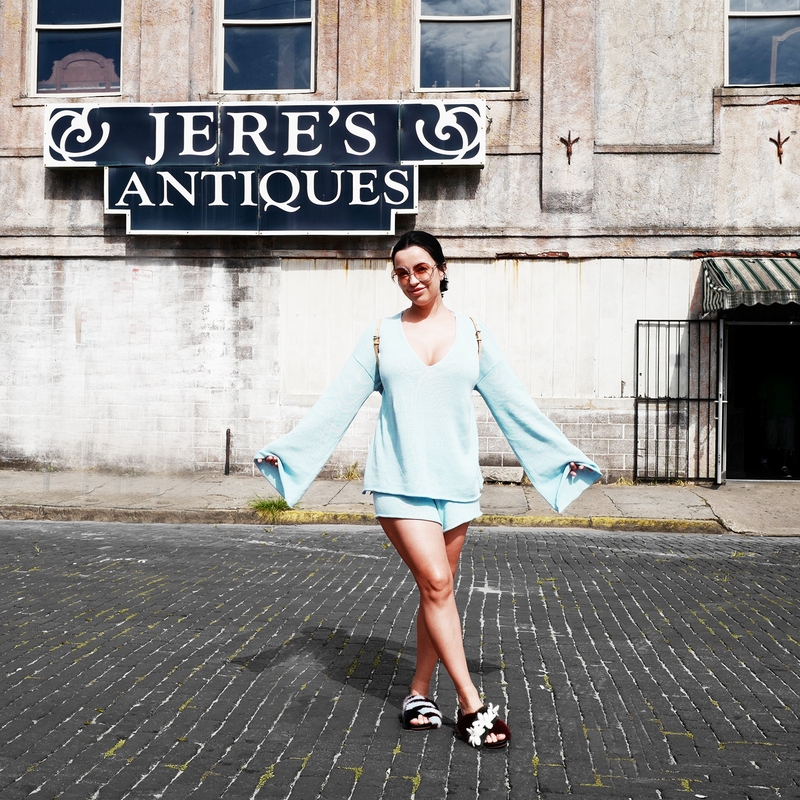 If you browse my blog, then you would assume that I already purchased these items (all of them). I can't help myself - by the time I curate an 'I'm Coveting..' list, everything is in my online shopping bag, waiting for me to hit 'complete order'! 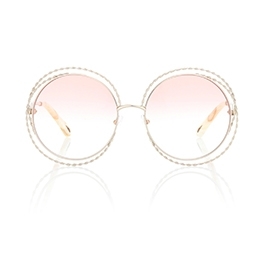 I LOVE these Chloé Carlina round sunglasses in silver and powder pink (available at Mytheresa). The braided, fine gold-tone metalwork is delicate and feminine. The frames are round and a bit oversized. The pink gradient lenses are pale and won't protect your eyes from the sun - BUT they look good. I'm a HUGE fan of Chloé sunglasses. The bohemian Chloé attitude is carefree and the variety of 'free spirit' sunglass styles evoke flower child charm. I had no intentions of buying new shoes when I went to Chloé on Madison in New York a few months ago, but you can't argue love at first site. These shoes were meant for me AND they're so comfy. The Chloé River wedge boot (available at Chloé) has a military look, but the corset-inspired lace-up vamp gives a feminine vibe. The laces are leather, so beware - these can stretch and break fairly easily. 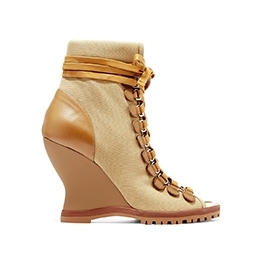 Pair these wedge boots with a t-shirt dress and the Chloé Roy double clutch handbag. Yeah, I would go to the ends of the earth to procure a handbag - I had to engage Dutch friends in the Netherlands to get this one. This pink leather micro-bag by Fendi (available at Fendi) is super tiny and embellished with galvanized pearls. I love this Fendi handbag style and am super excited to get my first micro Peekaboo. While it's still on route, I've already made big plans for this tiny Peekaboo handbag. 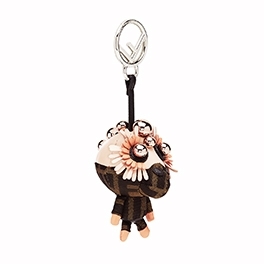 Each season Fendi brings us new bag accessories - fur pom poms, mini bags (to attach to your bag) and this season, the Fendi Space Monkey (available at Fendi). This little bag accessory dons the signature Fendi print and has a leather headpiece embellished with galvanized pearls. SO CUTE! I put this on my Mother's Day wish list.. I trust my Toy Poodle is gonna come through! 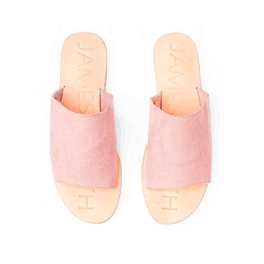 James Smith slides (available at Shop Planet Blue) are simple and chic. The slip-on style comes with a leather or suede vamp and a thin sole. These fit nicely and go great with everything. 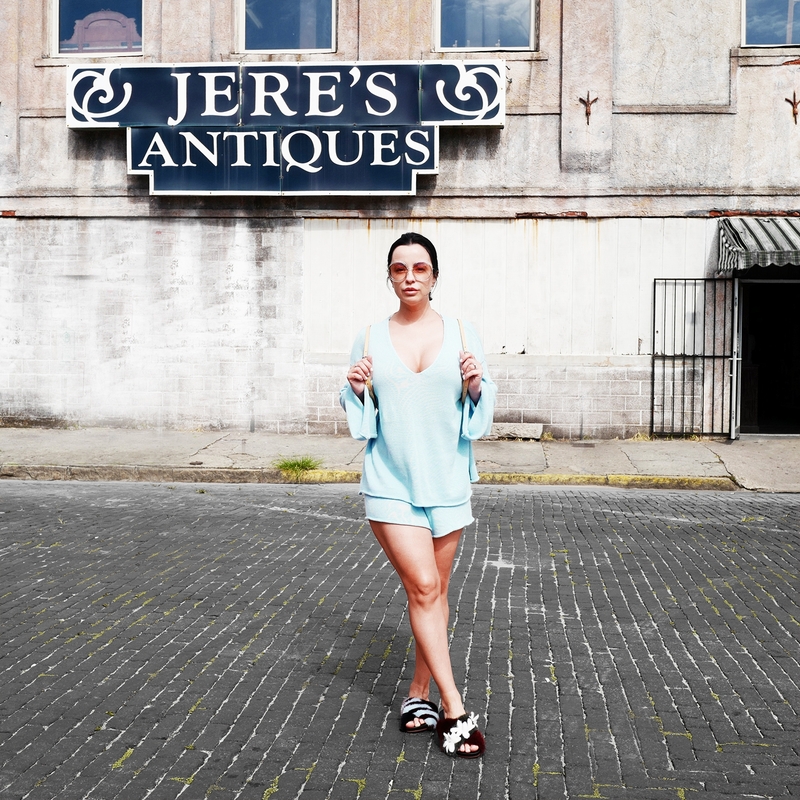 I have a long road trip this summer and think these will be the perfect slide for those en-route days and site-seeing. YUP, I have this one too. 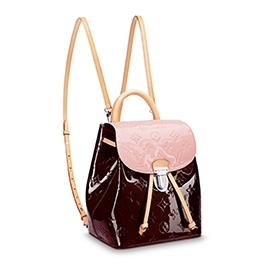 The Louis Vuitton Hot Springs backpack (available at Louis Vuitton) combines my two favorite LV Vernis leather colors - Amarante and Rose Ballerine. 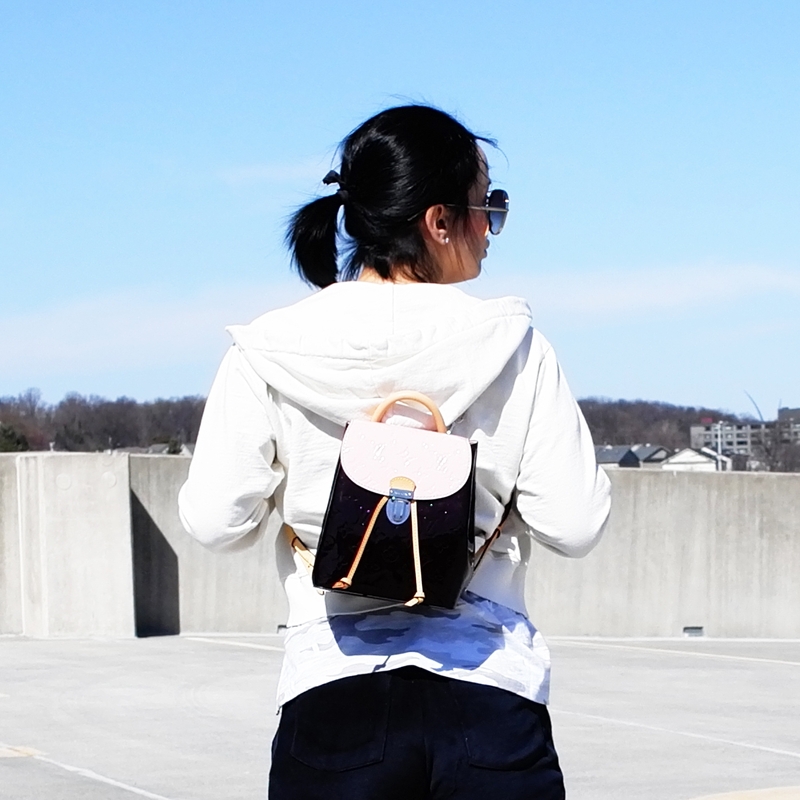 The backpack is small, but spacious inside AND has a pink lining. 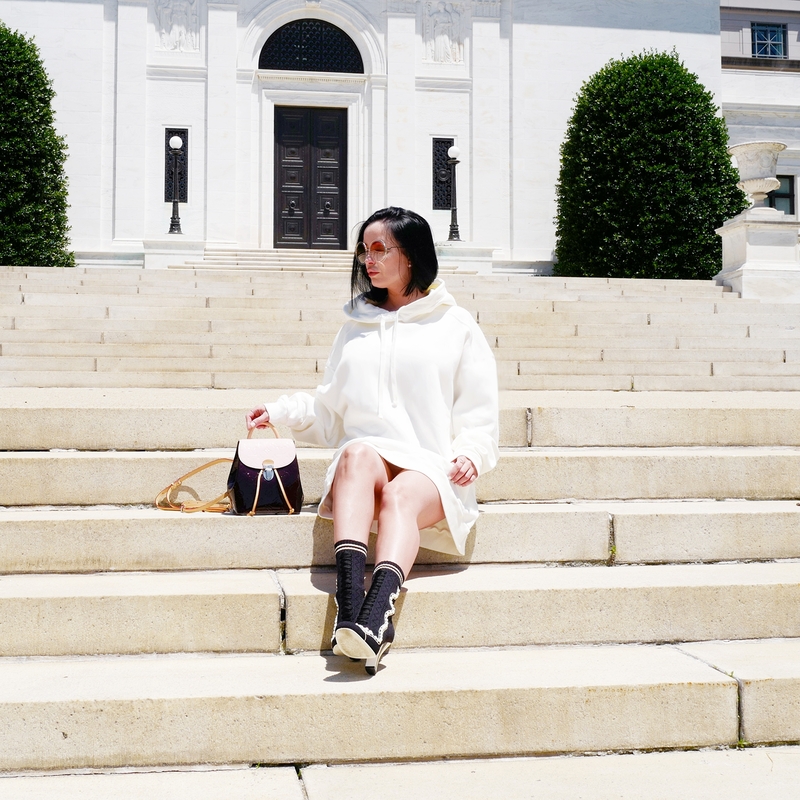 Backpacks are having a moment this season (especially mini backpacks). I was super lucky to land this bag. I'd seen it on the LV site, but it wasn't available. I casually walked into the Louis Vuitton store in New York some weeks later and there it was! That was great day, BUT the very reason why I shouldn't visit New York often. I've been selling stuff on eBay ever since, trying to make up for the financial damage I caused!